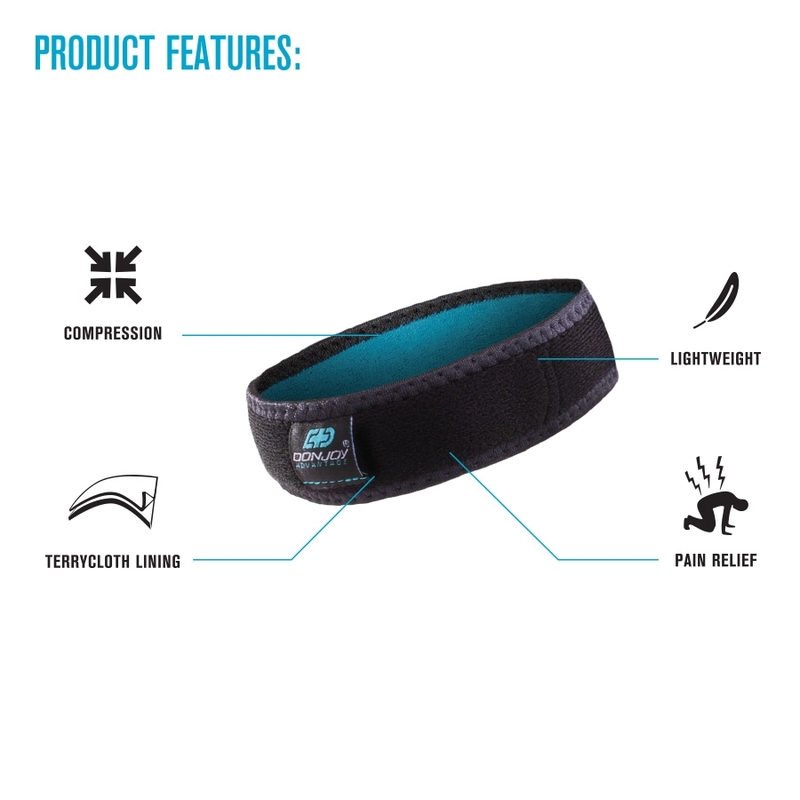 Patella Tendon strap that targets pressure and helps to relieve pain. 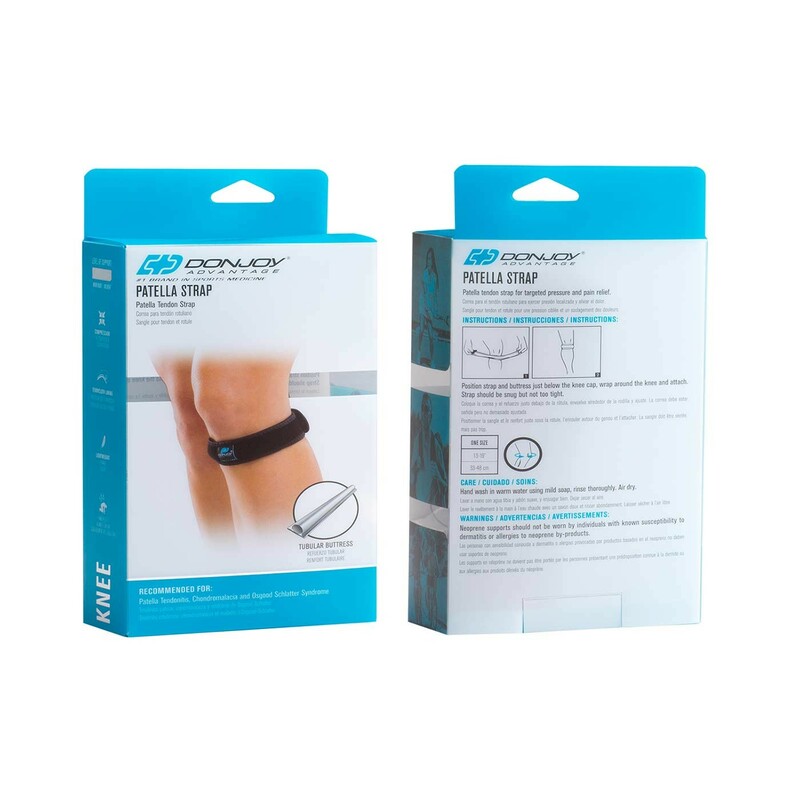 The DonJoy Advantage Patella Strap delivers targeted pressure to the patella tendon, helpping to improve tracking and relieve pain. Designed with a tubular buttressed to deliver mild pressure, the strap keeps the tendon warm while helping to reduce symptoms that's associated with constant running and jumping. 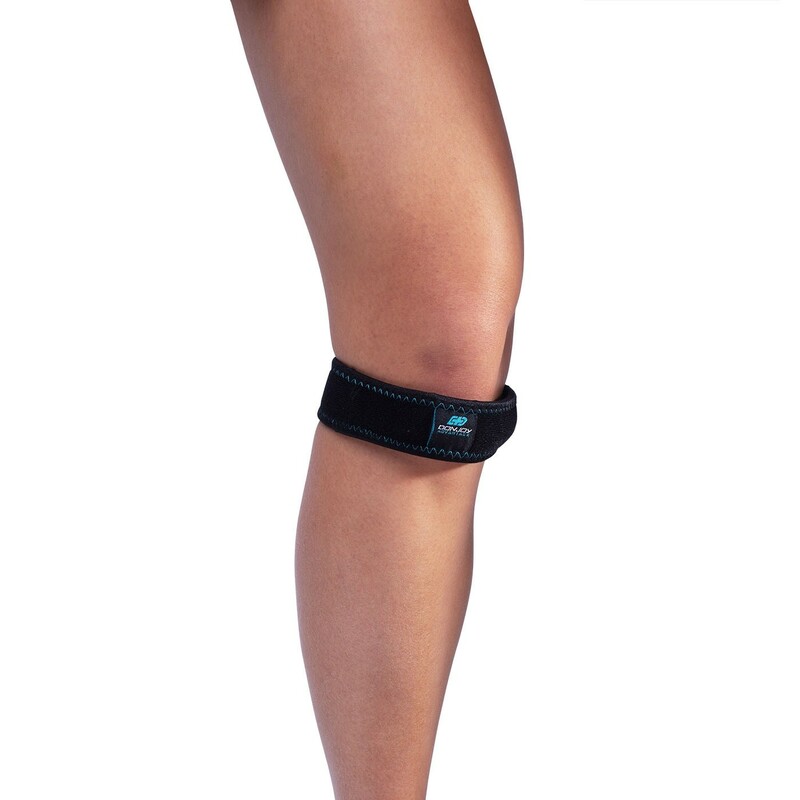 Adjustable and comfortable to wear all day, the Patella Strap can be worn under clothing and fits on the right or left knee.